MYSTERY shrouds the knockout championship game of the 2019 Philippine Collegiate Champions League President's Cup on Monday at Filoil Flying V Centre in San Juan. For one, it's still unclear how many Ateneo players will be able to show up for the 4 p.m. tussle against the University of the Visayas Green Lancers. The Blue Eagles has had manpower difficulties in their best-of-three semifinals against San Beda last week, only trotting out a full-strength side in Game 3 on Saturday. Academic obligations kept some players from showing up on time in the first two games, something which might happen again in the duel against the Green Lancers. 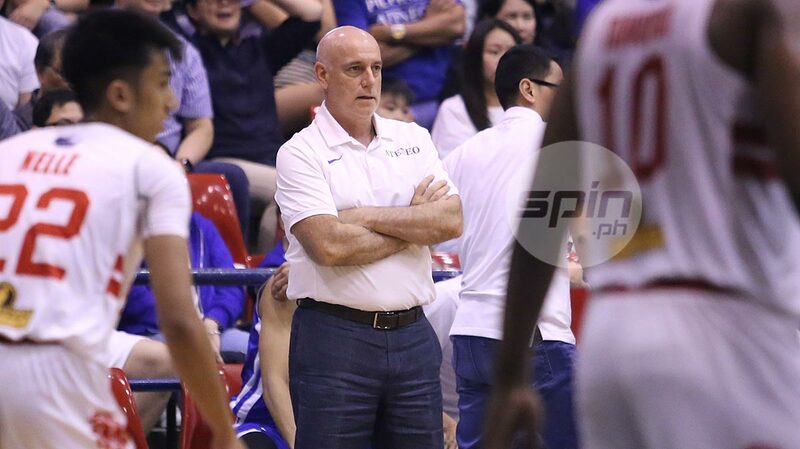 But regardless on who's present, coach Tab Baldwin expects nothing but the best from his boys, with Thirdy Ravena and Isaac Go once again counted on to lead the fight. "I'm happy that our players figure things out on the fly. San Beda gave us a good experience, what a champion team should do and we didn't expect anything less from them," he said. What worries him, though, is Ateneo's unfamiliarity with CESAFI champions UV Green Lancers. "We don't know anything about them," he admitted. "We got to try and play good basketball because that's another champion team." UV will lean on CESAFI MVP Rey Suerte, rookie Jafet Claridad, and Liberian big man Bassiere Sackor in the one-game title showdown for the unofficial national championship.